Let’s get something out of the way real quick: Kingdom Hearts HD 1.5 + 2.5 ReMIX for PlayStation 4 is almost identical to the PlayStation 3 versions. There’s no new or different content, and the games haven’t been “re-remastered” in any way. Really, the only difference is that the PS4 versions have shorter loading times, a higher frame rate, and the fact that you’ve got four games in one package rather than two. I don’t say this to criticise the PS4 collection, but to make it clear that it’s targeting a difference audience. This is squarely aimed at people who missed the PS3 releases, or those who’ve moved on to PS4 and don’t want to take their old console out of storage (or buy a new one!) just to play a few years-old games. I’m sure Square Enix will cop some flak for trying to sell the Kingdom Hearts HD remasters to people “again”, but it seems pretty clear that the focus is on selling it to a different audience who missed out last time. As someone who’s part of that audience, I really appreciate the move. Kingdom Hearts Final Mix: the very first Kingdom Hearts game, complete with extra content and tweaks previously only seen in Japan. Kingdom Hearts Re: Chain of Memories: a full remake of the GameBoy Advance game Kingdom Hearts: Chain of Memories, which was originally a Japan-only PS2 release. Kingdom Hearts 358/2 Days: cutscenes from the Nintendo DS game of the same name, compiled into a three-hour movie. Kingdom Hearts II Final Mix: the second numbered Kingdom Hearts game, again with extra content and tweaks that were previously exclusive to Japan. Kingdom Hearts Birth by Sleep Final Mix: a remaster of a PSP prequel that wasn’t available outside Japan until Kingdom Hearts HD 2.5 ReMIX. Kingdom Hearts Re:Coded: a cinematic adaptation of a Nintendo DS game. Kingdom Hearts in particular is, I think, one of the most noteworthy games of the PS2 era. A mashup of Disney and Final Fantasy seemed like a strange idea at the time, but it worked – mainly because the licensed aspects were just window dressing. What really made the game such a memorable experience was the story woven through that; a moving coming-of-age story about friendship, love, rivalry, discovery, and adventure. These are all common themes in JRPGs, but Kingdom Hearts took them to new emotional heights and created something unforgettable in the process. 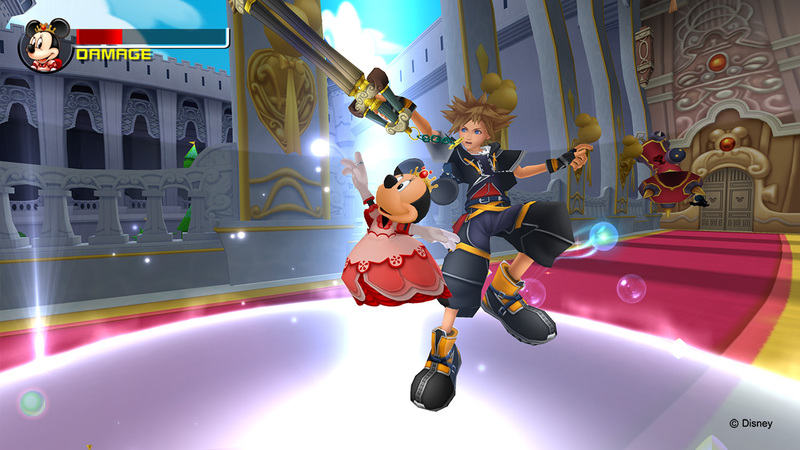 Kingdom Hearts HD 1.5 + 2.5 ReMIX is an opportunity to experience that all over again. Even going just as far as the main menu was enough to dredge up so many feelings and memories, thanks in no small part to Yoko Shimomura’s brilliant track, “Dearly Beloved”. Those feelings only escalated when I started actually playing the game, and drifted back to the many hours I spent with it as a teen. I know I’m not alone in having a special place in my heart for the original Kingdom Hearts, and the chance to revisit that is something is welcome. For everyone else, Kingdom Hearts Final Mix is a great place to dive in, because it’s aged surprisingly well. It’s a fairly standard action-adventure RPG, with combat that’s as fluid as ever, RPG systems that are just deep enough to be interesting without getting burdensome, and plenty to see and explore. The story is a timeless one, and it’s every bit as moving now as it was in 2004. The sequels took the series in interesting new directions mechanically, but the original Kingdom Hearts is still the highlight of the series for its innovation and sheer storytelling prowess. Honestly, I’d have been happy with just a PS4 port of Kingdom Hearts, but I’m not going to complain about everything else that’s included in Kingdom Hearts HD 1.5 + 2.5 ReMIX. They’re all good games, and if you care for a deep dive into lore and a complex web of narrative threads, you’ll find plenty of that across the rest of the package. I know that for many people, Kingdom Hearts II is a high point in the series. It dialled up the excitement of combat with the new Drive system, whereby players could transform into different forms for limited periods of time, granting new abilities and generally turning you into a killing machine. There’s more to see, more to do, and more excitement to be had. However, it turned away from the simple, emotionally-charged story of the first game to something much more plot-driven; there’s less focus on the characterisation that made the first game tick, and something was lost. Don’t get me wrong, it’s a great game that makes a lot of improvements – it just fell short in the place that matters most. That’s a problem across all the other games as well. 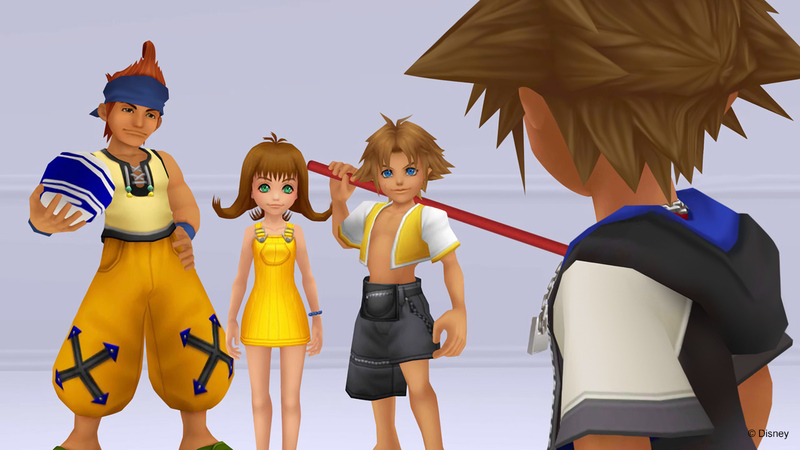 Kingdom Hearts has become infamous for its convoluted plot, and it’s easy to see why. Each new game came along and tried to tack new pieces onto what was already there, and the end result is an overarching story that feels like a patchwork quilt. With so much focus on adding new wrinkles to the plot, it didn’t just become hard to follow, it lost the core of what made the first game so good. Admittedly, Birth by Sleep is a better attempt than the rest, since it’s a prequel that isn’t bogged down by what came before it, but it’s still not a patch on Kingdom Hearts itself. Kingdom Hearts Re: Chain of Memories is impressive when you consider that it’s a remake of a GBA game. The original was a 2D sprite-based game made for a tiny screen, but what you get here is graphically on par with Kingdom Hearts (though maybe not quite up to Kingdom Hearts II’s standard). That said, attempts to mix up the gameplay result in something that just doesn’t live up to the rest of the series. Levels are randomised assortments of small rooms – now doubt a solution to hardware limitations of the GBA – which are far less interesting than the carefully designed worlds seen in other games. Combat also got a revamp with a card-based system, but managing cards and decks in a real-time system is very tedious for little reward. Kingdom Hearts Birth by Sleep is a better effort as far as “spinoff” games go; it’s less experimental in its gameplay, and its three new main characters are a nice change from Sora and co. The story is broken into three separate scenarios that happen alongside each other, one for each character, and you can choose which order to play through them. This isn’t an unusual structure for games generally, but it’s a new approach for Kingdom Hearts, and I think it works well. 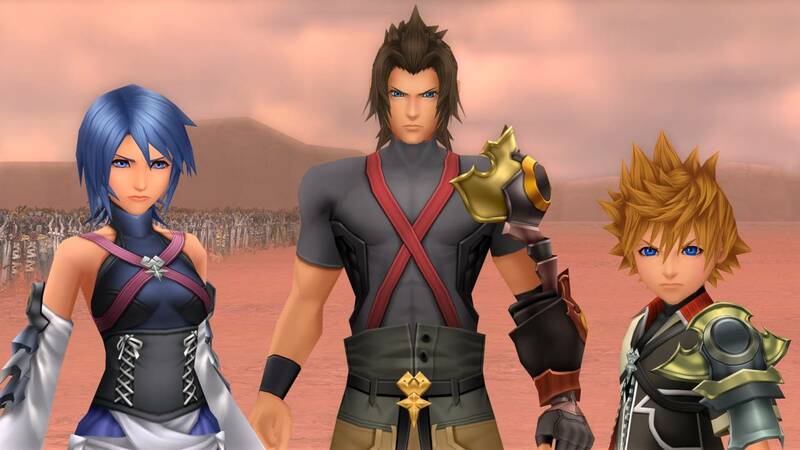 Having three different main characters keeps things interesting, even though the game doesn’t mess with the standard Kingdom Hearts formula too much. The weakest parts of the package are easily the cinematic adaptations of Kingdom Hearts 358/2 Days and Kingdom Hearts Re:Coded. They’re included for story reasons, but unless you’re really invested in Kingdom Hearts lore, you’ll probably just get bored. The stories just aren’t interesting enough to carry the weight once the game elements are removed. There’s no harm in including them, but they don’t really add anything to the package, either. Taken as individual games, the contents of Kingdom Hearts HD 1.5 + 2.5 ReMIX are a strange assortment, from the brilliance of Kingdom Hearts to the failed attempts at innovation in Kingdom Hearts Re: Chain of Memories. But as a whole package, it’s hard to fault. Kingdom Hearts Final Mix and Kingdom Hearts II Final Mix alone are worth the price of entry, so everything else just feels like a nice bonus. 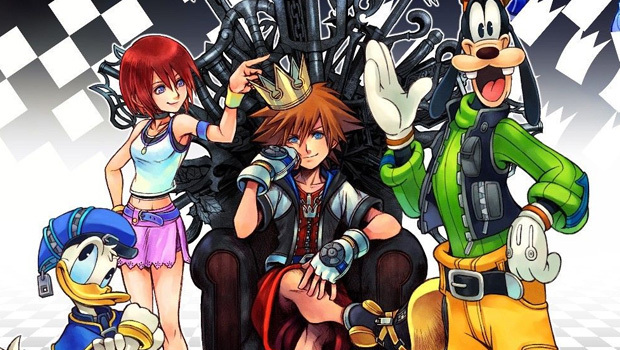 This bundle is a great way for old fans to revisit a genuine classic, for new fans to discover something special, and for everyone to try wrap their heads around the mysteries of the Kingdom Hearts story before Kingdom Hearts III. 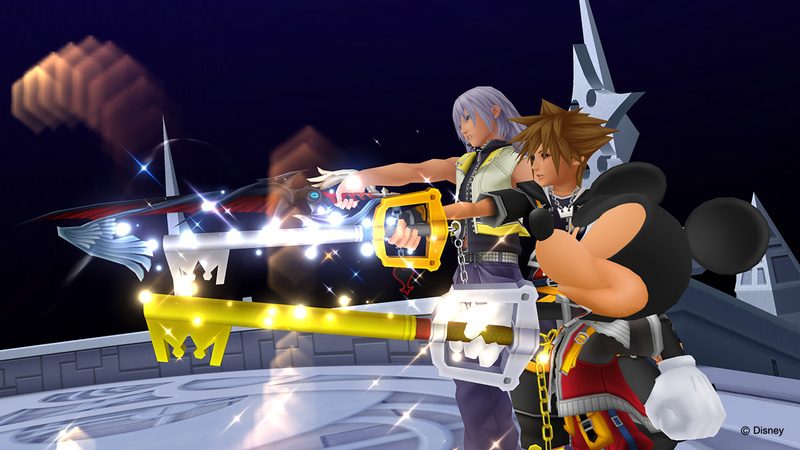 Kingdom Hearts HD 1.5 + 2.5 ReMIX is developed and published by Square Enix. It’s available now for PlayStation 4.